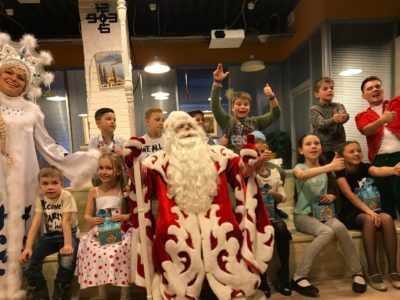 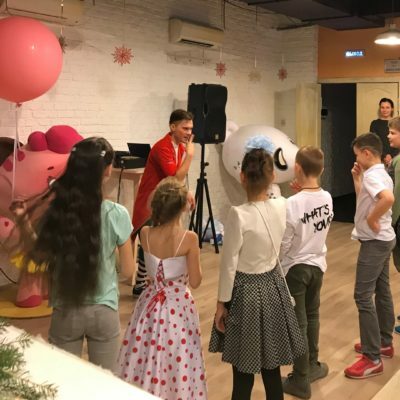 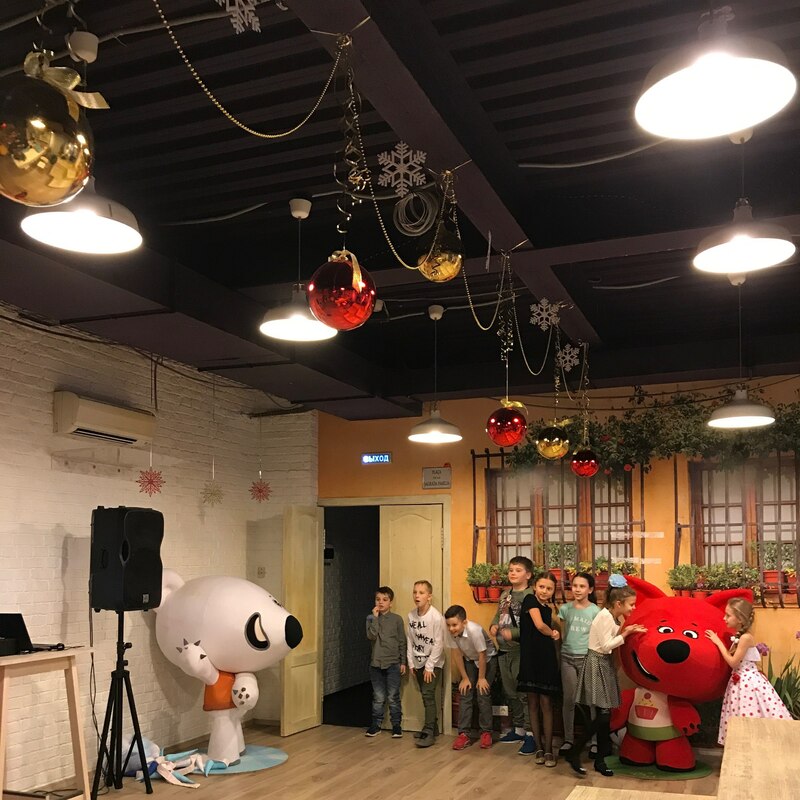 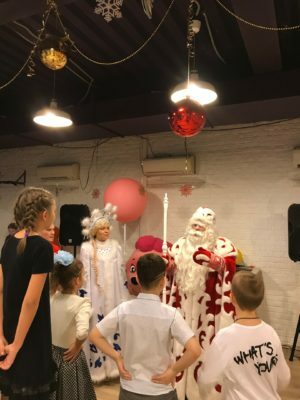 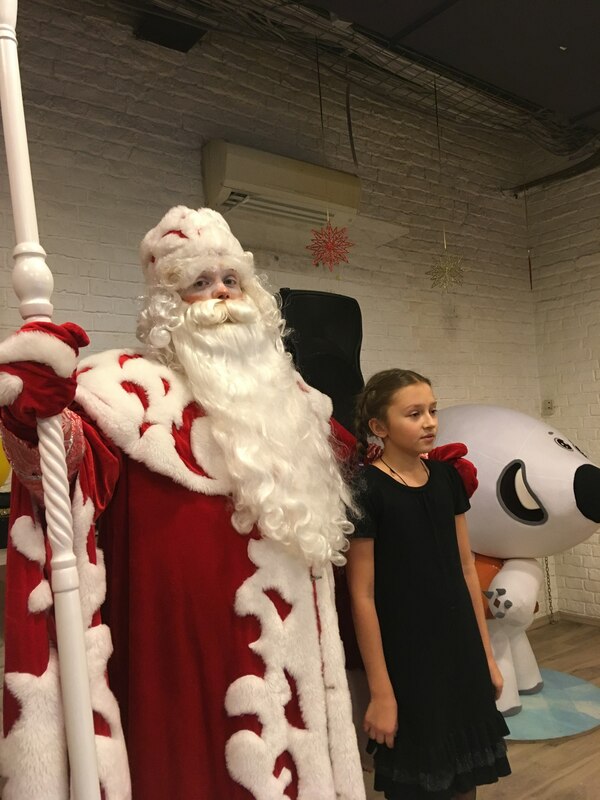 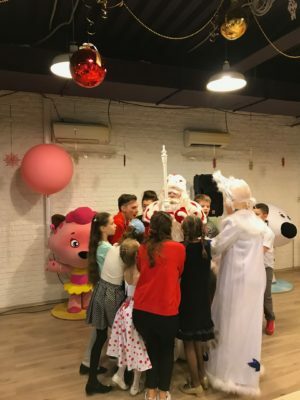 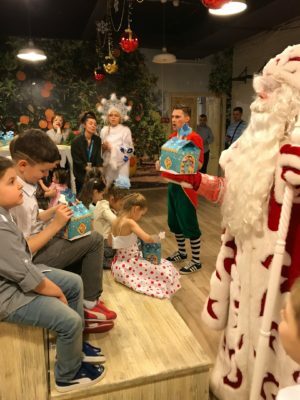 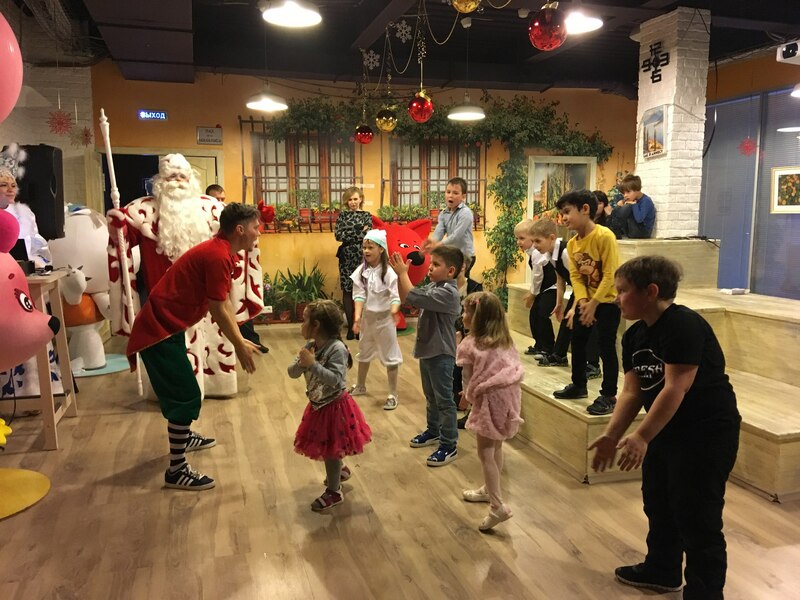 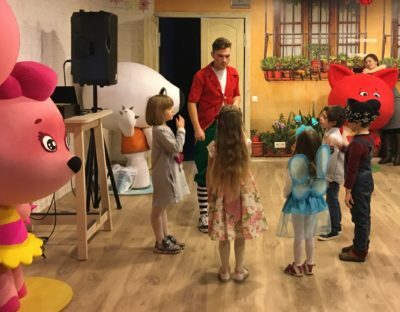 On Saturday (23.12.2017) such an unusual lively and vibrant atmosphere prevailed at Parovoz Studio and anticipation of New Year was in the air because Father Frost and Snow Maiden came with a visit. 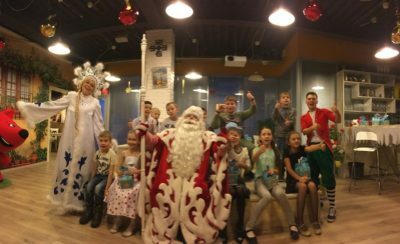 Lots of children were invited for this meeting to the studio. 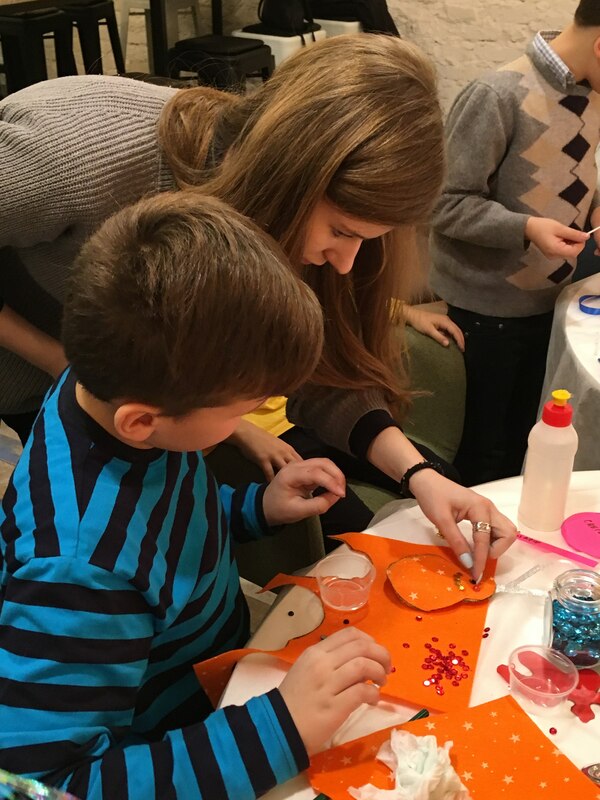 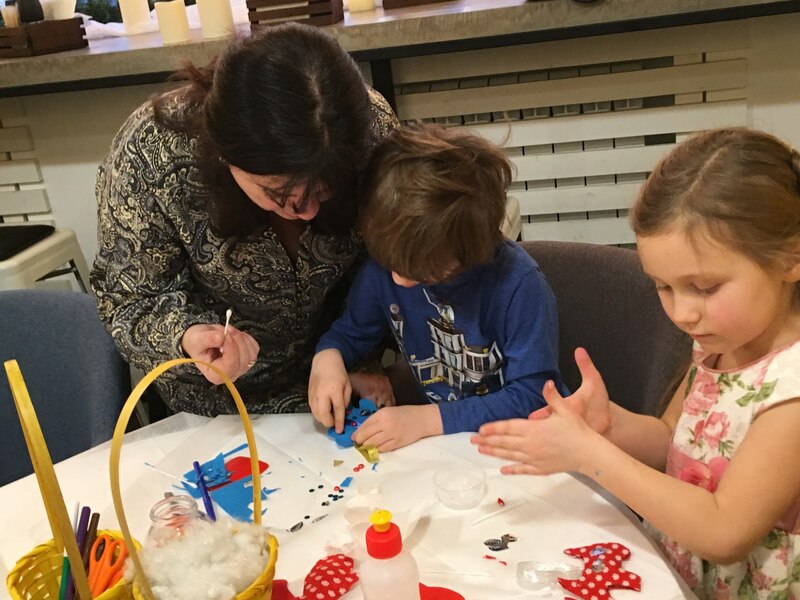 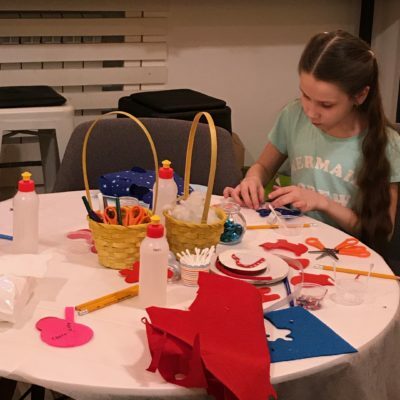 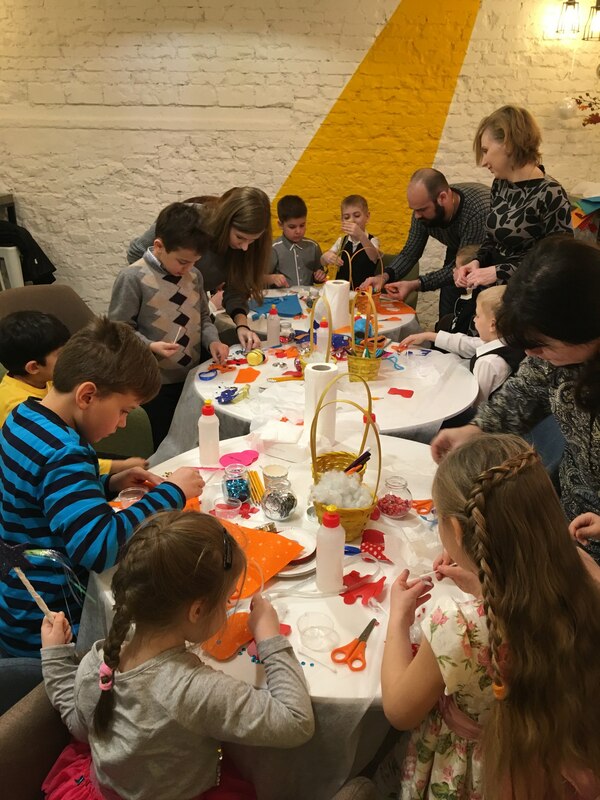 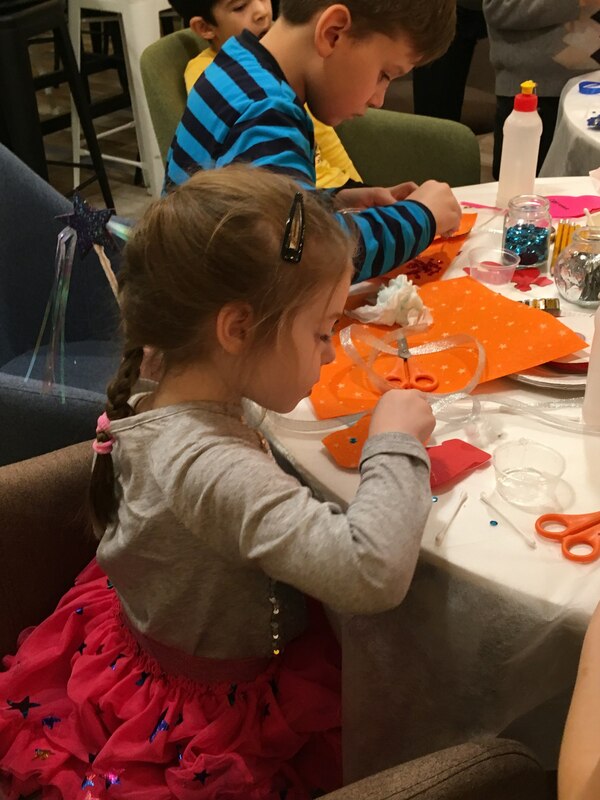 Children enjoyed an interesting master class and learned to make beautiful Christmas decorations. 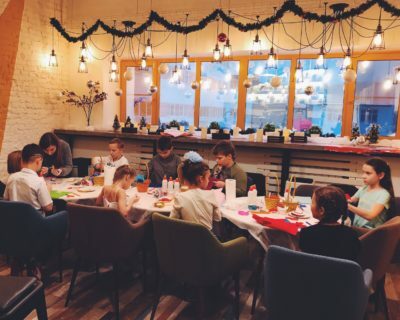 Now they can decorate their own Christmas tree at home! 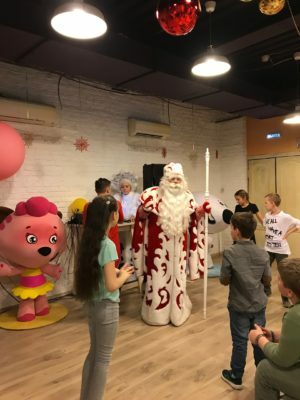 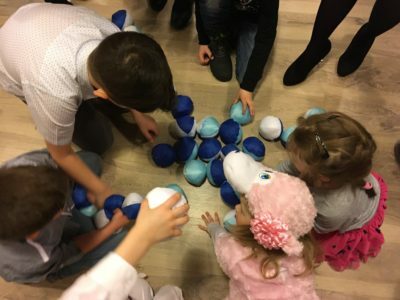 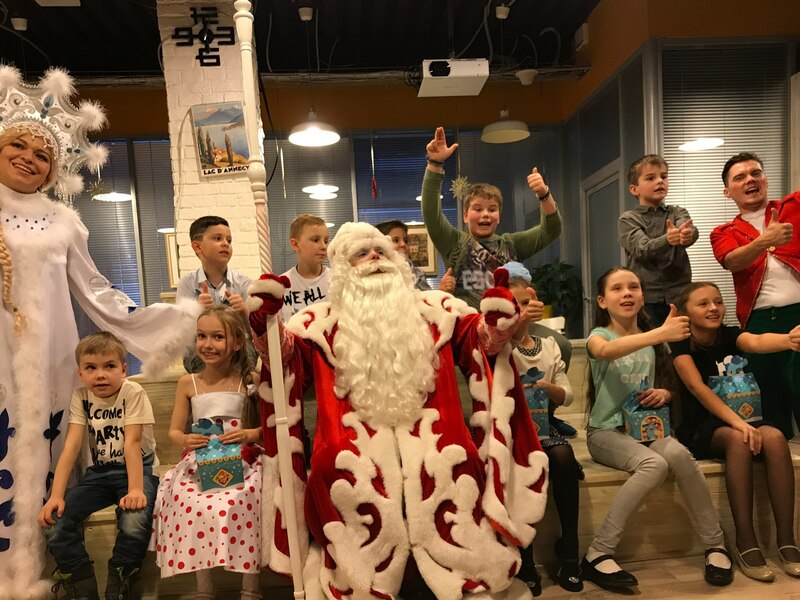 Father Frost learned some modern words that cheerful Dwarf taught him, for example, hype and flashmob, and helped kids to fulfill difficult tasks! At the end there were congratulations and gifts for everyone! 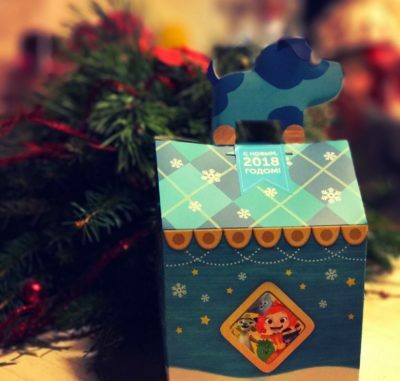 A happy upcoming New Year! 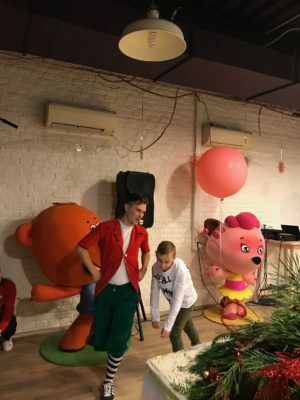 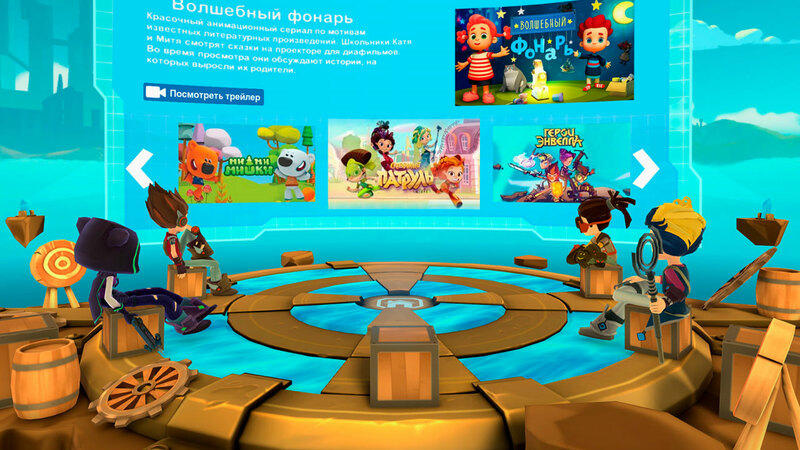 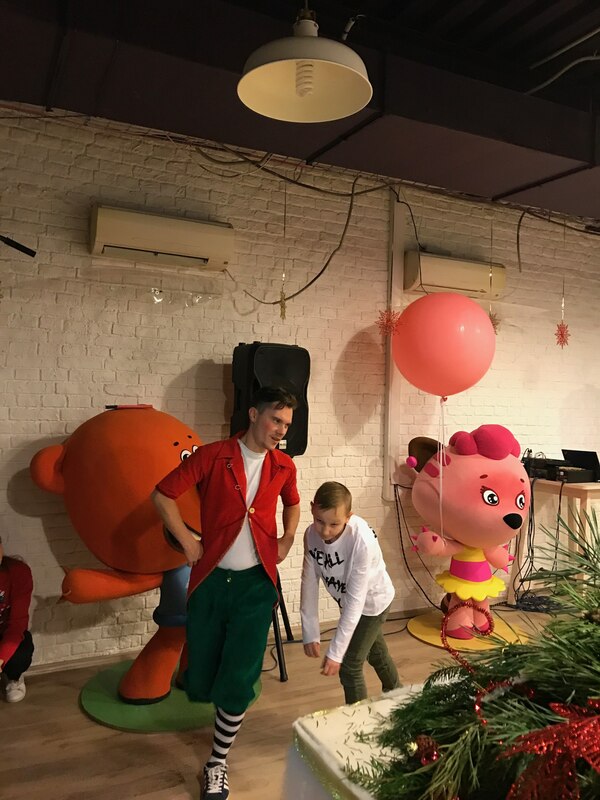 On the threshold of the New Year we announced a new family VR app – Moolt VR, that children can use to dip into the atmosphere of favorite animated series and watch cartoons with the most-liked characters. 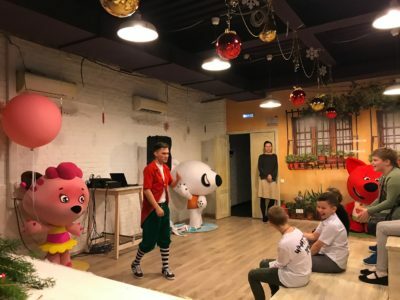 The official toy store Parovoz is opened!